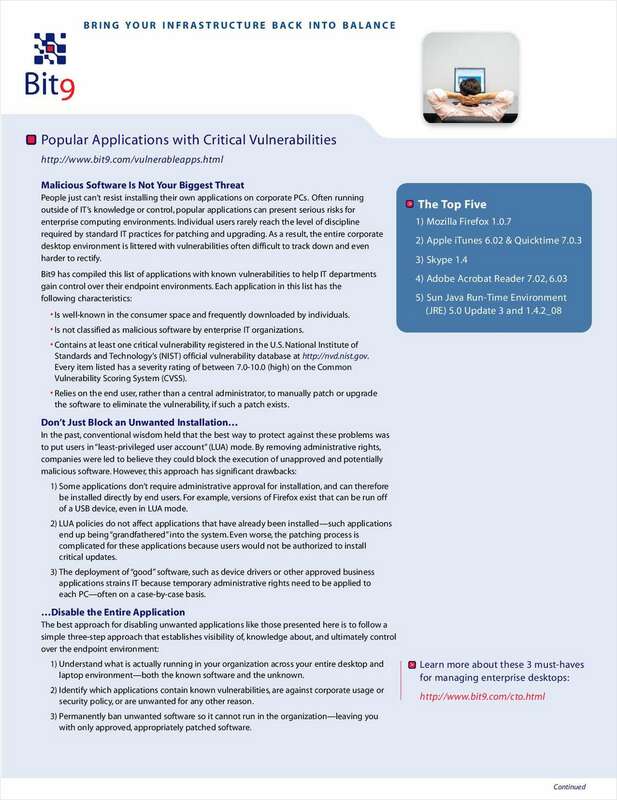 "15 Popular Windows Applications with Critical Vulnerabilities"
Free White Paper: "15 Popular Windows Applications with Critical Vulnerabilities"
Even the most common desktop applications have vulnerabilities. Bit9 has compiled a list of desktop applications with known vulnerabilities to help IT departments gain control over their desktops. Each application in this list has the following characteristics. By submitting this content request, I have legitimate interest in the content and agree that Bit9, their partners, and the creators of any other content I have selected may contact me regarding news, products, and services that may be of interest to me.